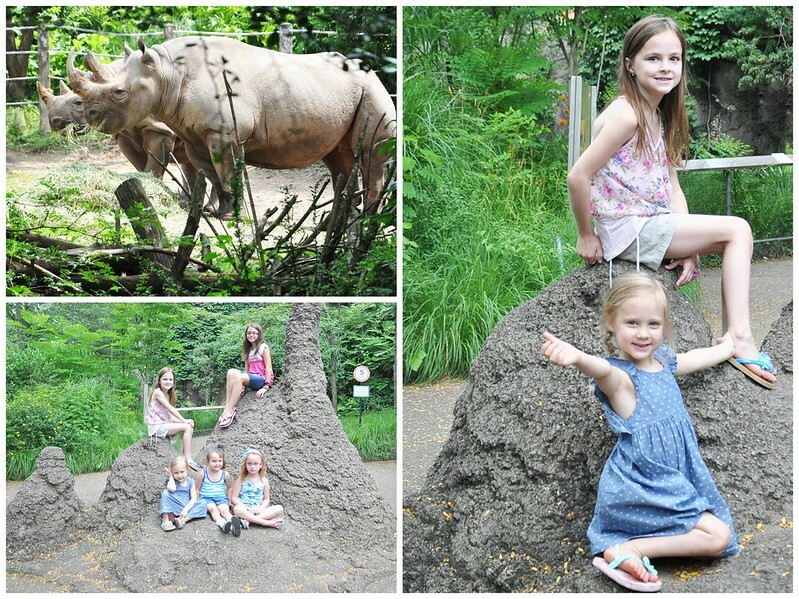 Last summer, I was finally brave enough to attempt a trip to the zoo alone with 4 kids! 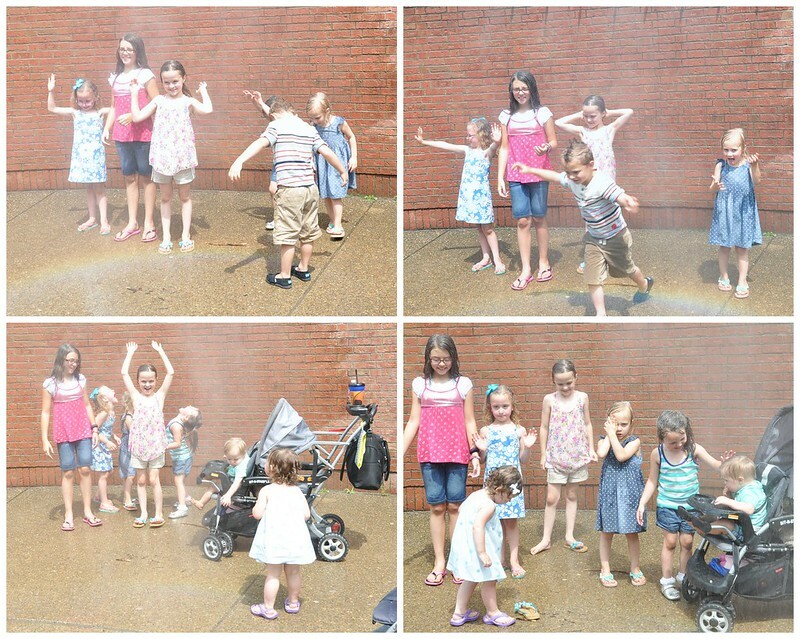 It went so well that I decided to take 5 kids a few weeks later! No problem. The key, my friends? PREPARATION! We have a zoo membership, but Grant rarely gets a chance to join us. If we want to go, we have to meet up with friends or just go alone! 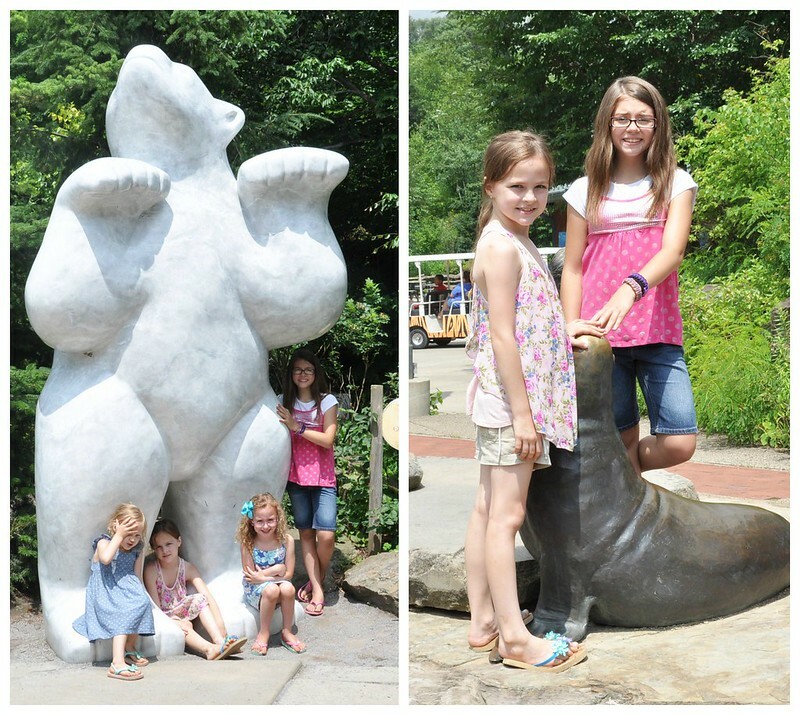 Last week, for our first real playdate of the summer, we met up with our friends at the Pittsburgh Zoo & PPG Aquarium! 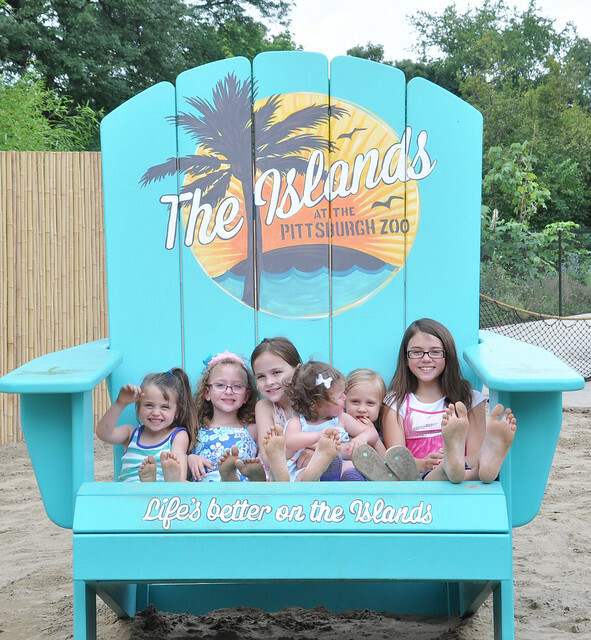 We couldn't wait to check out the new Islands exhibit that just opened! The next step? Stay up until 3 AM the night before and get every single thing ready to go. Trust me, it's worth it! Clothes, shoes, and sunglasses for each kid and mom...check! Reusable water bottles filled up...check! Lunch boxes packed for each person...check! Snacks...check! Hand sanitizer, sunscreen, and wipes...check! Camera and extra battery...check! Purse, fully stocked diaper bag, and stroller waiting by the door...CHECK! Sleep is so overrated. Hopefully you'll survive the 35 minute car ride, which involves being trapped inside a vehicle with four overly excited children. I did. With the help of coffee and loud music. If you're extra lucky, you'll miss all the traffic and lights! 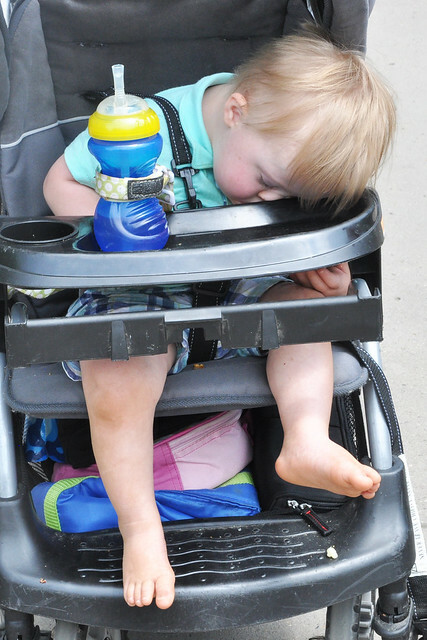 Once you get there, pull out the largest stroller you own and fill it with hundreds of pounds of gear. Stuff everything into the stroller basket, hang your diaper bag on the handle, stuff your wallet and camera into the bag, and take a diaper changing kit so you won't have to dig through your bag for diapers or wipes. There's no such thing as being over-prepared! Don't forget all the kids! Count them...1...2...3...4. Good to go! 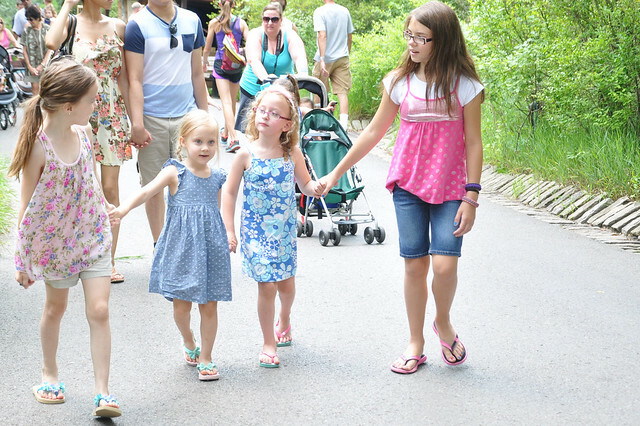 FINALLY meet up with your friends, come up with a buddy system, and enjoy the zoo! 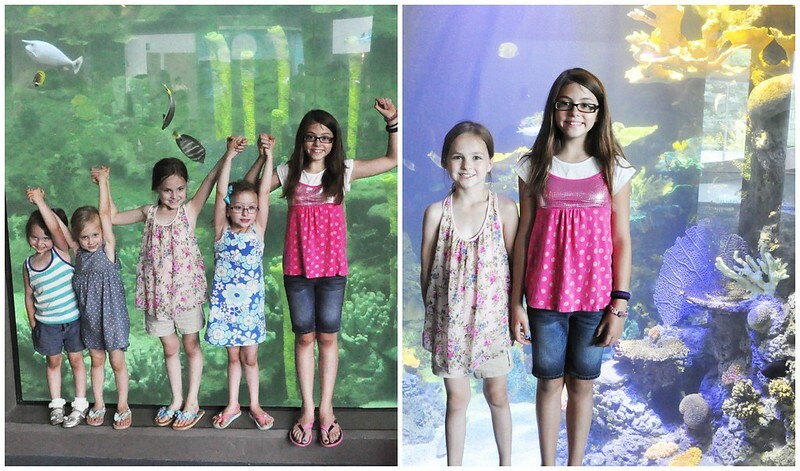 During your zoo trip, make sure you visit your favorite animal exhibits and make time for photo opportunities. You are the mamarazzi after all! 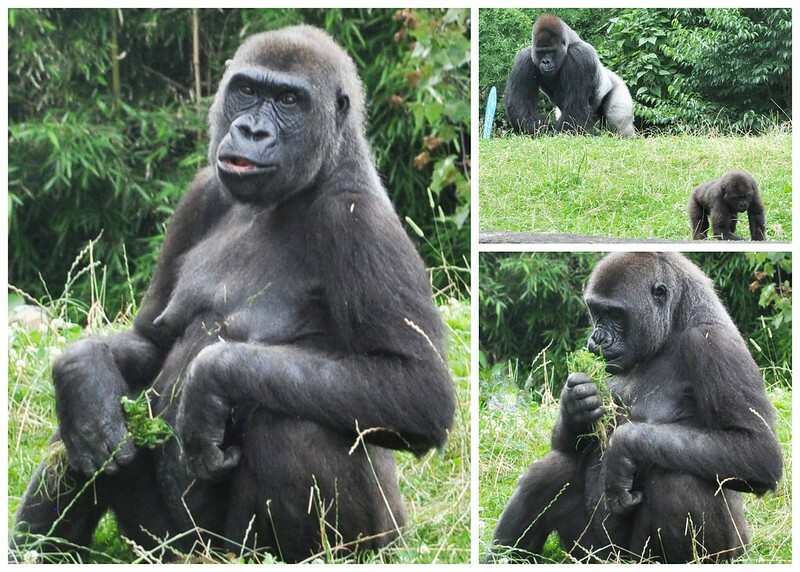 If you manage to make it halfway through the zoo with minimal effort, celebrate with lunch! Buy yourself an EXTRA LARGE caffeinated beverage (lack of sleep, remember?) and relax with your kids and your friends. Ignore all the people staring at you because your combined families take up 4 tables. Remember those snacks? VITAL. All the kids will want what your kids are eating and Vice Versa. Any snacks we bring are to be shared! Once lunch is over, stop at the water refilling station (They're all through the zoo now! So convenient!) and refill those reusable water bottles! Even if you think you have enough for now...you'll run out. The new Islands Exhibit is right next to the newly renovated food area. PERFECT! We continued our relaxation over on the enormous "beach." The kids LOVED it! 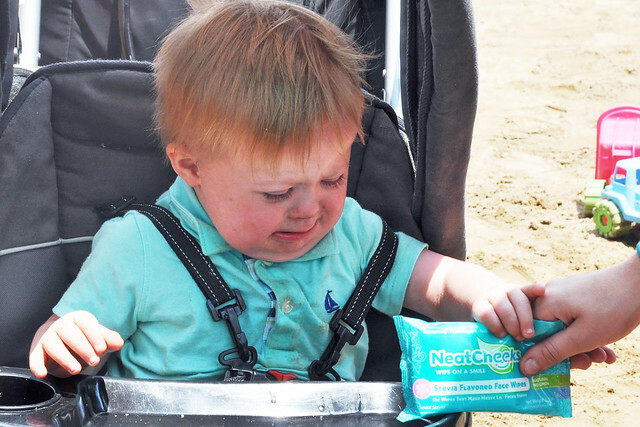 Ever hear of NeatCheeks? Take them along. Eating sand results in an unhappy baby. 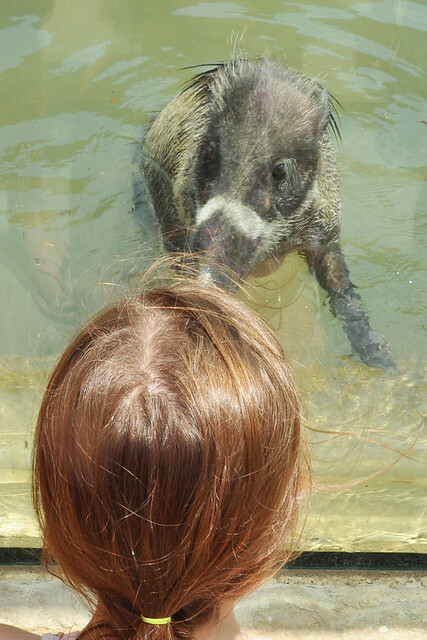 Lexie's favorite part was the hog exhibit. She loved them, and, well, they seemed to love her, too! I, however, loved the new view of the gorillas! They are much closer! Remember that Cadillac of strollers? 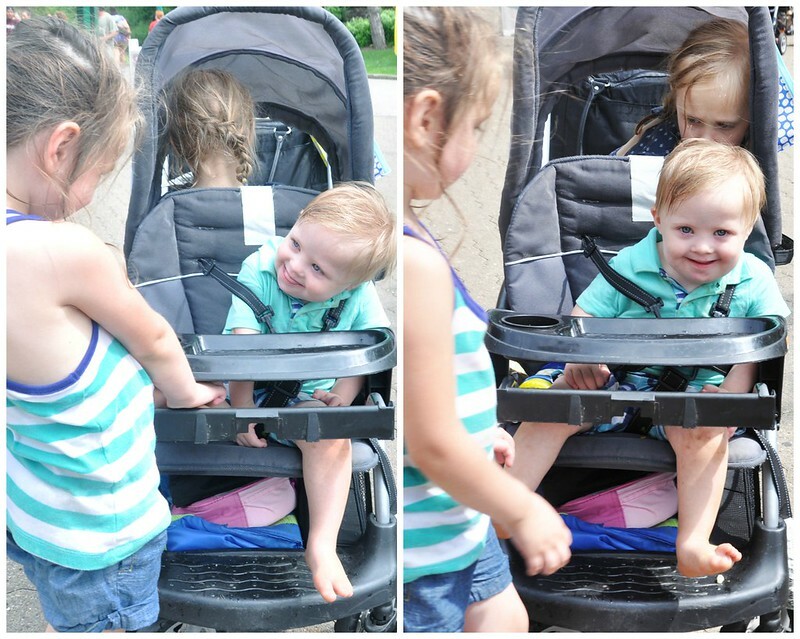 You will end up pushing a 1 year old, 3 year old, a 4 year old, and an almost 5 year old in it at the same time. On a hill. Consider yourself warned and consider it the best workout you've had in months. It's a good thing they're cute. 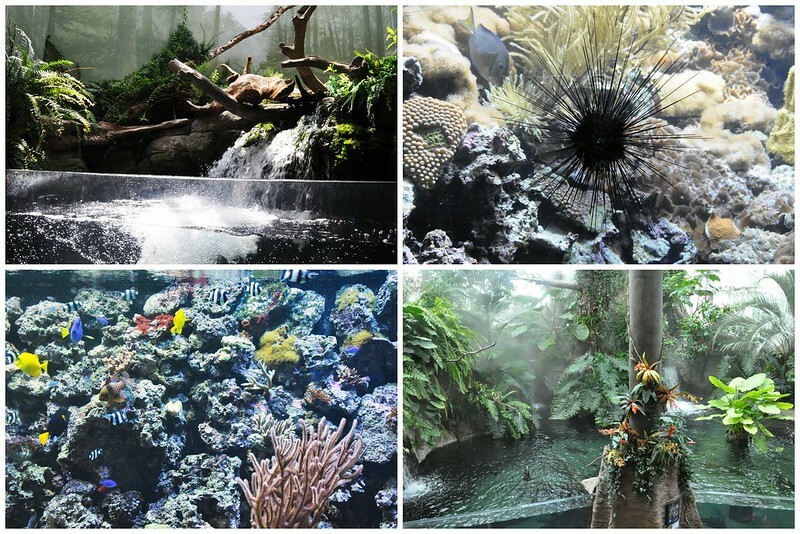 Just for the record, if it's hot, everyone else will rush toward the indoor aquarium! Snap a few pictures as you race through the building as quickly as possible. Which will basically be at a snail-pace. When you step outside into the scorching heat, the kids will realize they're still really hungry and really hot and really tired. 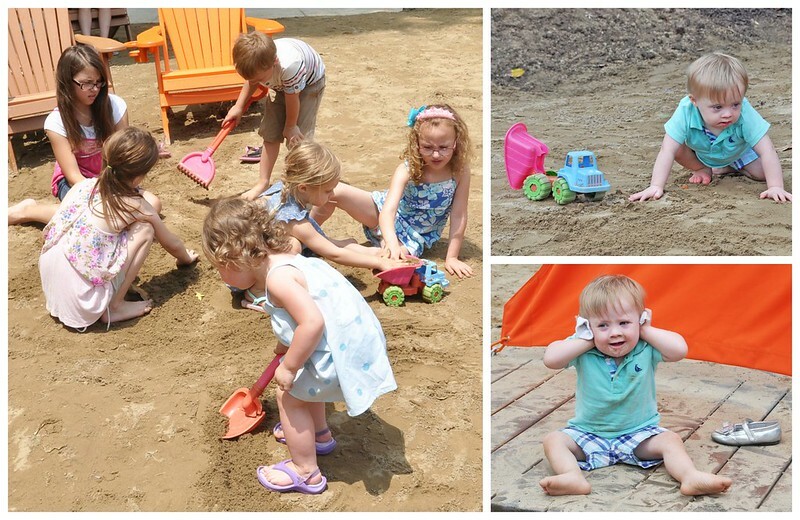 Before the situation gets out of hand, take a break, and let them play!!! Running helps. OBVIOUSLY. Hours have passed since you arrived. You're hot, the kids are hot, you're tired, the kids are tired...it's officially time to go home! Refill those water bottles again, get more caffeine for the much longer drive home (rush hour! ), visit the gift shop if you're crazy, go to the bathroom AGAIN, and hug your friends goodbye! It will take you approximately a half hour to load everything back into the car and strap the kids in the car seats. At least, it will feel like it, because you just want to sit down! Prepare as much as possible the night before. Set out clothes, fill water bottles, pack lunches and snacks, and make sure everything is sitting by the door and ready to go. The morning of, allot enough time to get yourself and everyone else ready and out the door. My rule of thumb is to add 5 minutes/kid. It really is an accurate formula! 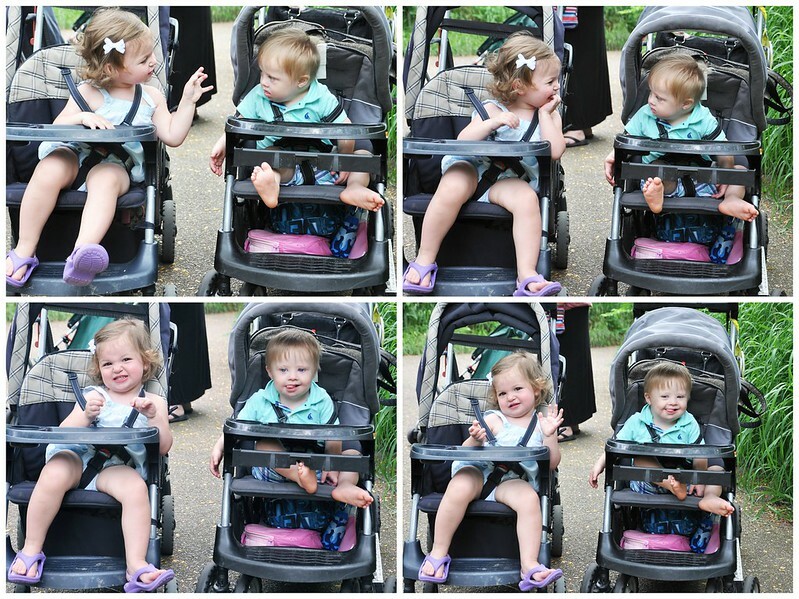 Make sure each kid knows a proper meeting place if they get separated from the group, who to approach (a person with a name tag who works at the zoo or a mom with little kids), and snap a quick picture of your kids before you go into the zoo. Take a double stroller. At some point, a kid will get tired and want to ride in it, plus it holds all your gear. 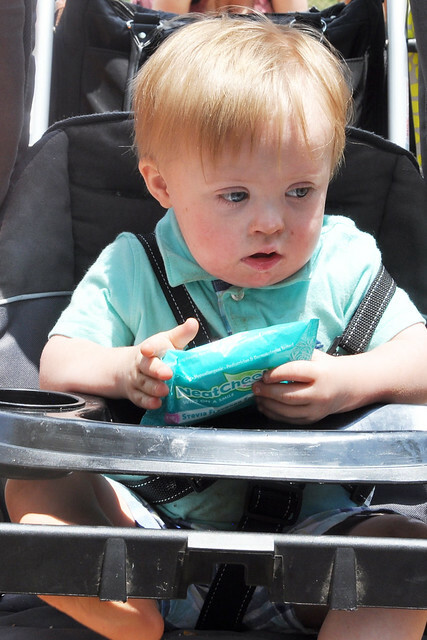 Keep necessities like wipes, hand sanitizer, diapers, and sunscreen in easy reach. Make sure your camera is fully charged and take an extra battery. Pack lunches. It's so much cheaper and healthier than buying food there. They won't really eat much anyway! Take reusable water bottles. They will have refillable water stations or fountains for refills. Take easy snacks to hand out along the way. Pretzels, fruit snacks, crackers, and granola bars work great! Make sure your kid knows if you're going to stop in the gift shop or not. Our rule is every other visit, and the item has to be under $10. 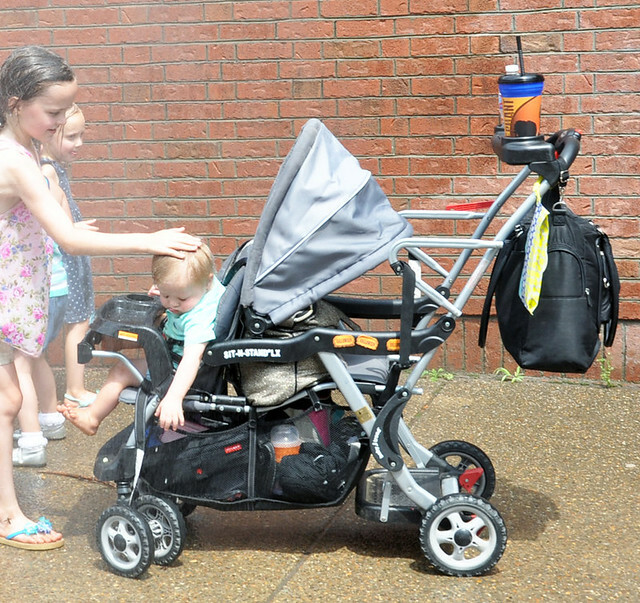 In the summer, clip on stroller fans and misters work great. If you remember them! 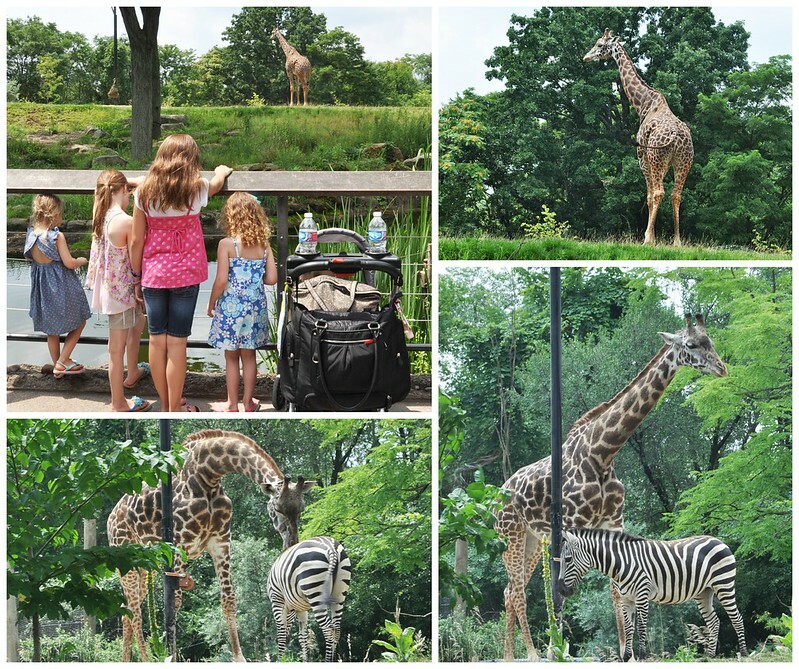 When was the last time you visited the zoo? we haven't been to the zoo in forever. Now that B is older I think it's due time! You should go! I bet she would love it. We should meet up! As a fellow mommy of 4, I can verify the accuracy of this post! Our zoo has Dip and Dot stands everywhere, so I have to prepare my reasons to say no to those. ha! 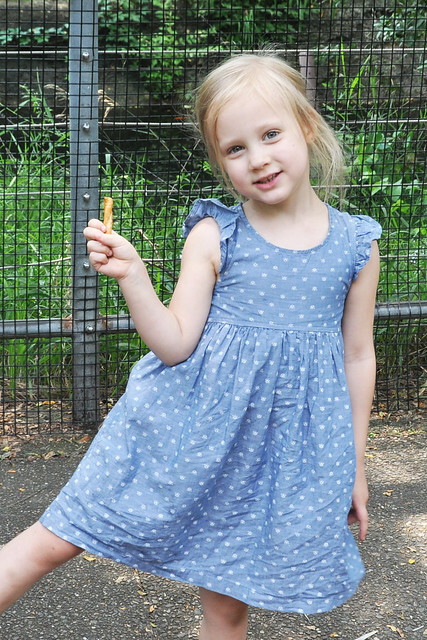 We last went to the zoo this spring. It's really one of our favorite places to gol. Haha! My kids beg to stop at the Dip and Dots stand every time we go. Next time, I'm going to let them! Having everything ready the night before is a MUST for any outing and Im only working with half of what you have ;) You cant beat preparation! I loved all your pictures, what an awesome day! It's almost impossible to get out of the house on time, so I try to prepare as much as I can! Ha! Love this post! 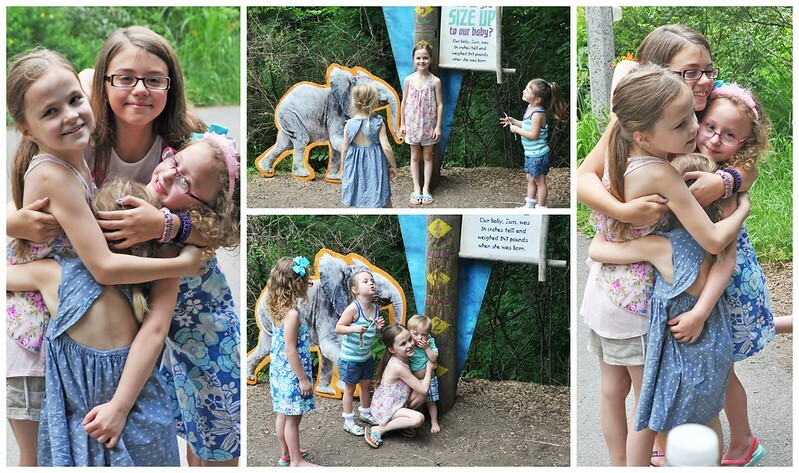 I have 4 and I am always so nervous to take them all to the zoo (or most any public place) alone! thanks for sharing your tips and tricks! Thank you! It's always an adventure, right?!? This is so impressive!!!! 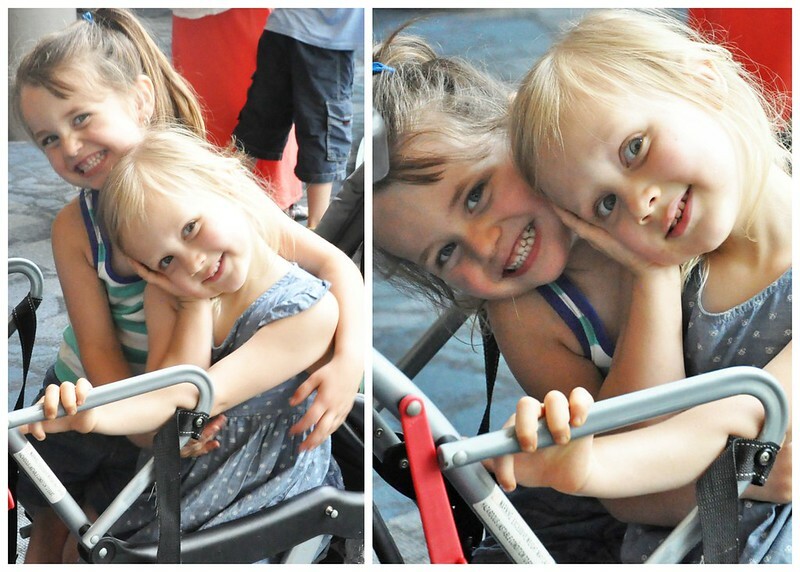 We love the zoo, it's just been so hot! It was one of the hottest days when we went. Not sure why we picked that day. Haha! I hear ya, we have a zoo membership as well and I love it. It's nice because you can go whenever and you don't have to stay the entire day and see everything every time you go. With this heat we can only stay for so long anyways, but it's worth the money every year. And yeah I'm like you, riding solo majority of the time because ya know, someone has to make the money! LOL. Haha! EXACTLY. I feel bad because my husband only joins us once or twice a year! Oh my goodness what a fun day! The pictures are wonderful! That is quite something with 4 munchkins but you are such an amazing mom! You make it look so simple. It looks like a great summer my friend. Have a nice week! Thank you! I hope you're enjoying your summer! 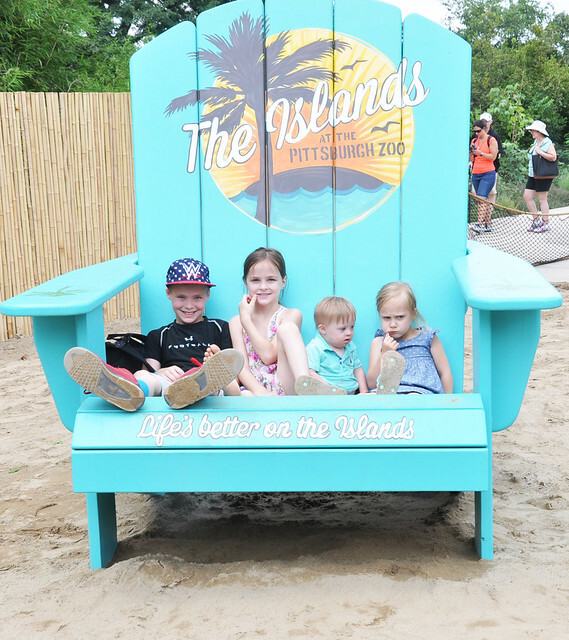 I just love the pic of everyone in beach chair! Thank you! They almost cooperated! 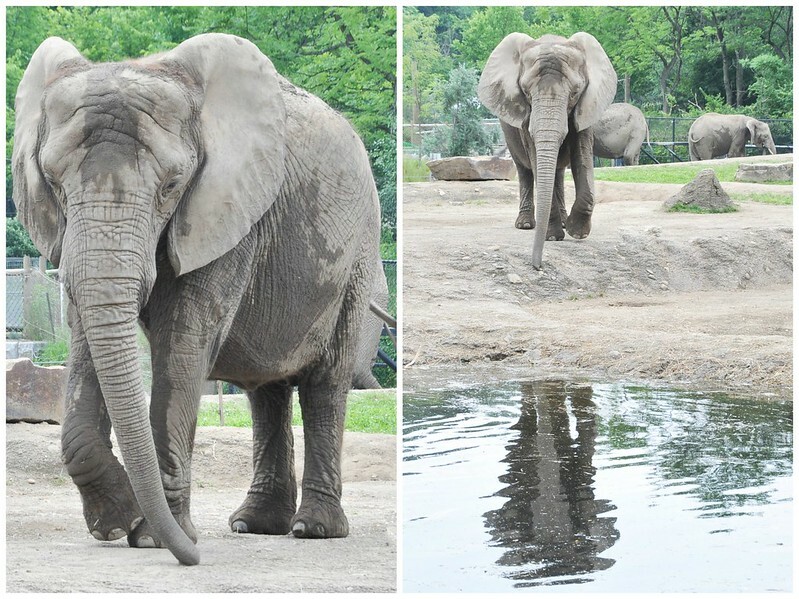 We don't make it too often - maybe 1-2 times each year - but we do love the zoo. 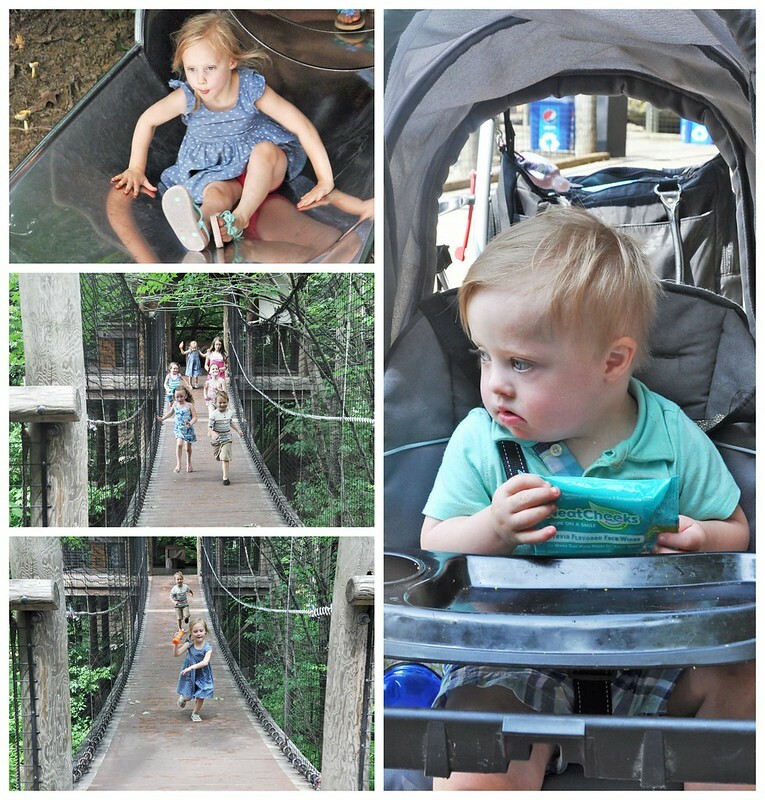 Actually I just did a post a couple weeks ago about our most recent trip to the zoo. I love how prepared you are - I usually bring too much stuff, but over the years and since my kids are getting bigger I have leaned what things I can sacrifice to lighten our load! LOL I applaud you for taking this on with 4!!! You're a pro!